Picture yourself sipping champagne on your own private verandah overlooking the Pacific Ocean. 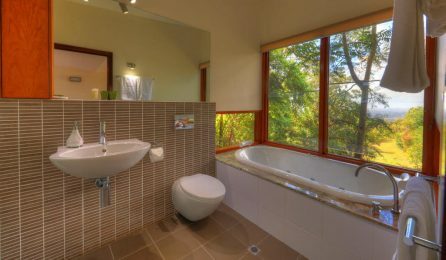 Our 4 architect designed cottages are nestled in 60 acres of secluded bushland. 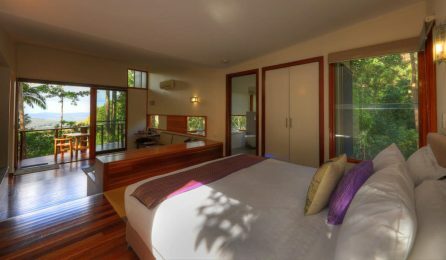 Despite being a short drive to the famous Noosa / Sunshine Coast beaches and the unique shops of Maleny and Montville you are in a peaceful and private environment where perhaps your only disturbance will be the sharp sound of the whipbird. 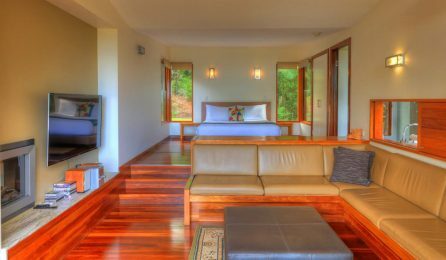 Take a walk through the rainforest and observe the large variety of native wildlife or enjoy a game of tennis, maybe a good book. 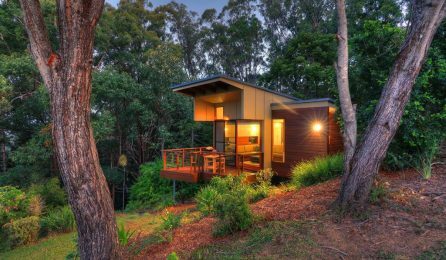 If it’s a peaceful stay free from the outside world in your own private forest retreat then consider Montville Oceanview Cottages.